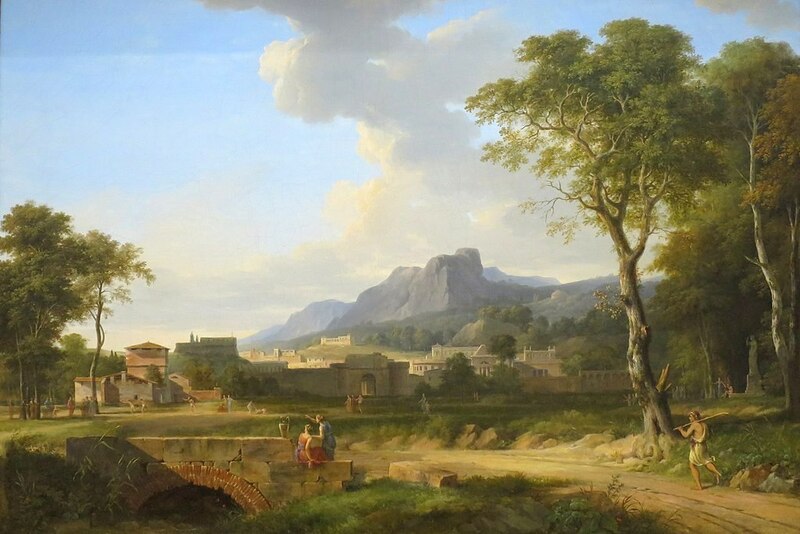 Johann Jakob Frey – private collection. 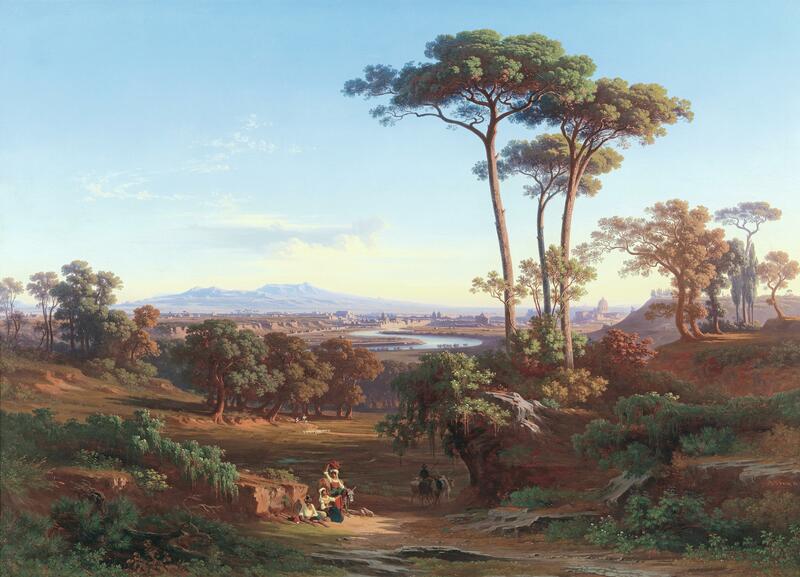 Title: View of Rome as Seen from Monte Mario. Date: 1850. Materials: oil on canvas. Dimensions: 98 x 135 cm. Source: https://s017.radikal.ru/i438/1603/10/a2a6bcc79a98.jpg. I have changed the light, contrast and colors of the original photo. Louis Marie de Schryver – private collection. 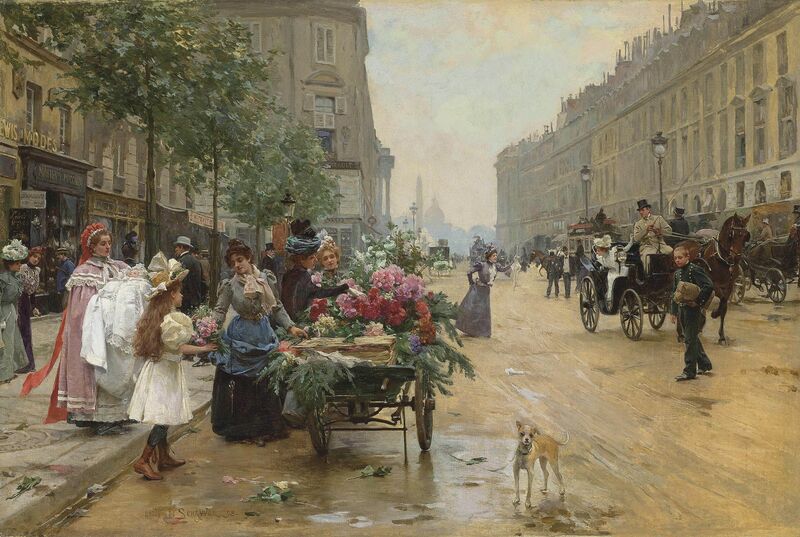 Title: Rue Royale, Paris. Date: 1898. Materials: oil on canvas. Dimensions: 56.5 x 83.2 cm. Source: https://i.pinimg.com/originals/30/a7/ba/30a7ba67af522221c3c12f0329063cdb.jpg. I have changed the light and contrast of the original photo. 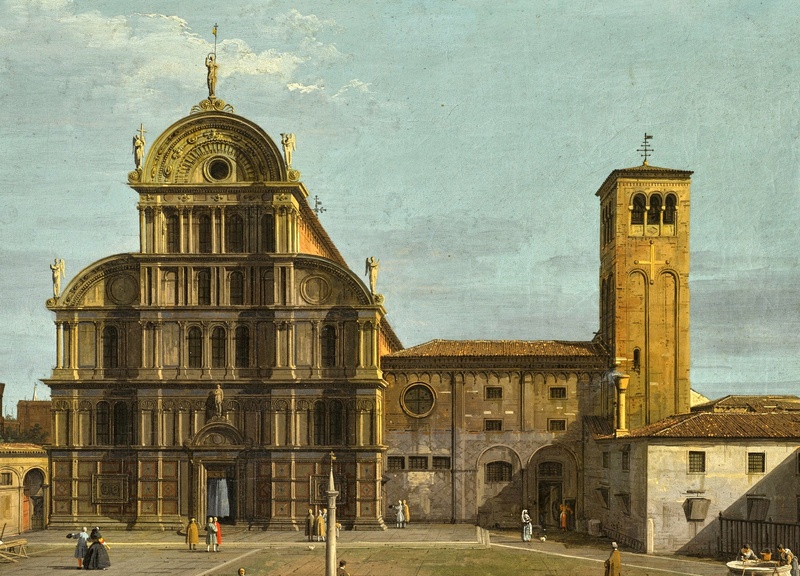 Canaletto – private collection. Title: Venice. The Campo San Zaccaria. Date: mid 1730s. Materials: oil on canvas. Dimensions: 47 x 77.7 cm. Sold by Sotheby’s in London, on July 5, 2017. Source: http://www.sothebys.com/content/dam/stb/lots/L17/L17033/066L17033_8D3YP_1_uncropped.jpg. I have changed the light and contrast of the original photo. Materials: oil on panel. Dimensions: 32.3 x 45.3 cm. Nr. : inv. nr. 259. 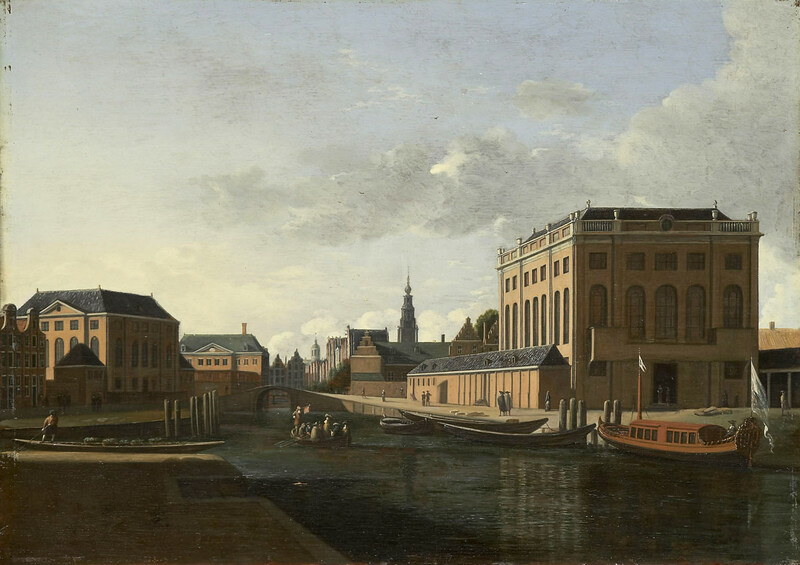 Source: https://commons.wikimedia.org/wiki/File:Gerrit_Berckheyde_-_View_of_the_Two_Synagogues_of_Amsterdam_259.jpg.I have changed the light and contrast of the original photo. 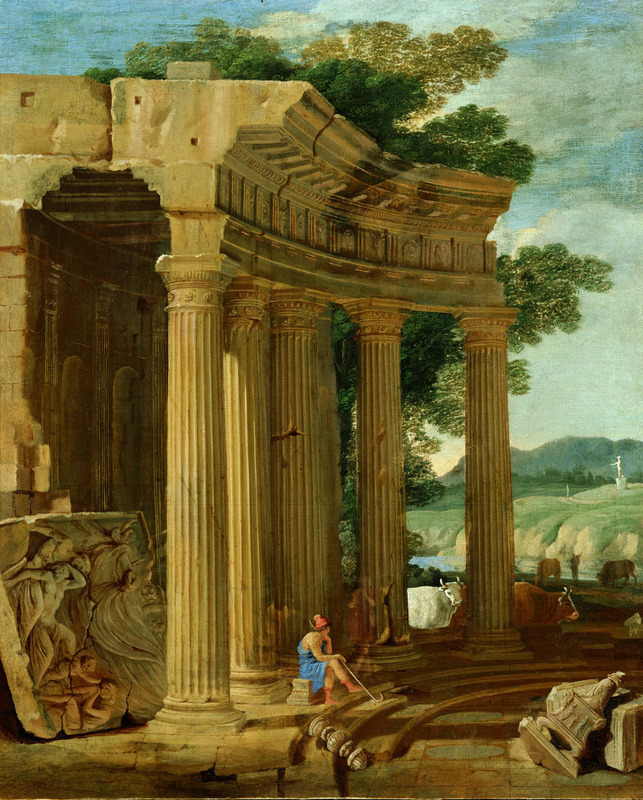 Adriaen Frans Boudewijns – private collection. Title: A Wooded Landscape with Horsemen Greeting Travelers on a Path. Date: c. 1690-1710. Materials: oil on canvas. Dimensions: 45.7 x 84.5 cm. Auctioned by Christie’s in New York, on June 4, 2009. 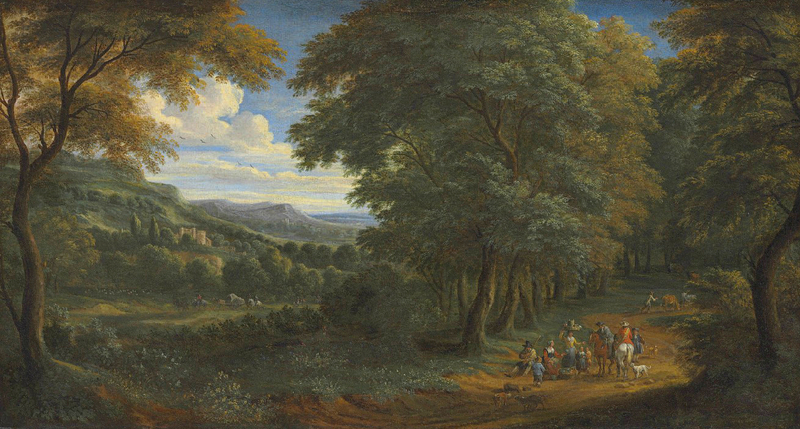 Source: https://commons.wikimedia.org/wiki/File:Adriaen_Frans_Boudewijns_-_A_wooded_landscape_with_horsemen_greeting_travelers_on_a_path.jpg. I have changed the light and contrast of the original photo. Claude Gellée (Lorrain) – Pushkin State Museum of Fine Arts Ж-1283. 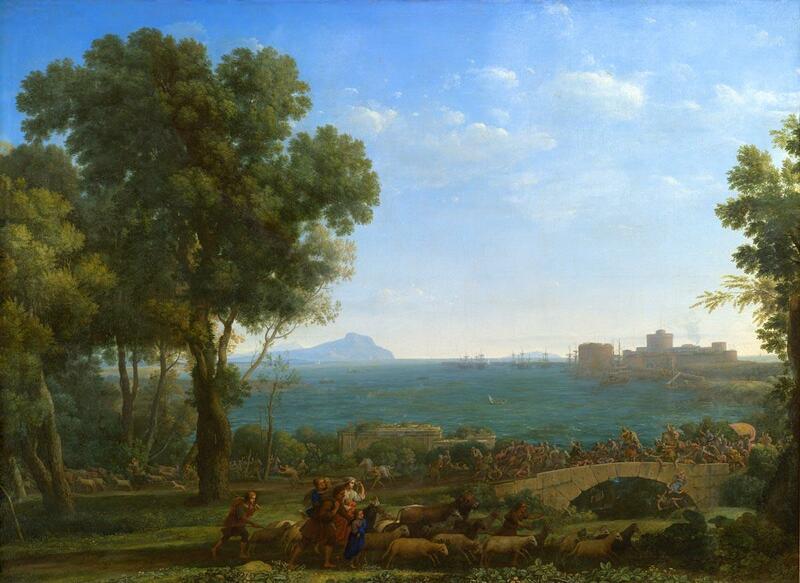 Title: Battle on the Bridge (between Emperors Constantine and Maxentius). Date: 1655. Materials: oil on canvas. Dimensions: 100 x 137 cm. Nr. : Ж-1283. Source: https://pushkinmuseum.art/data/fonds/europe_and_america/j/2001_3000/zh_1283/index.php. 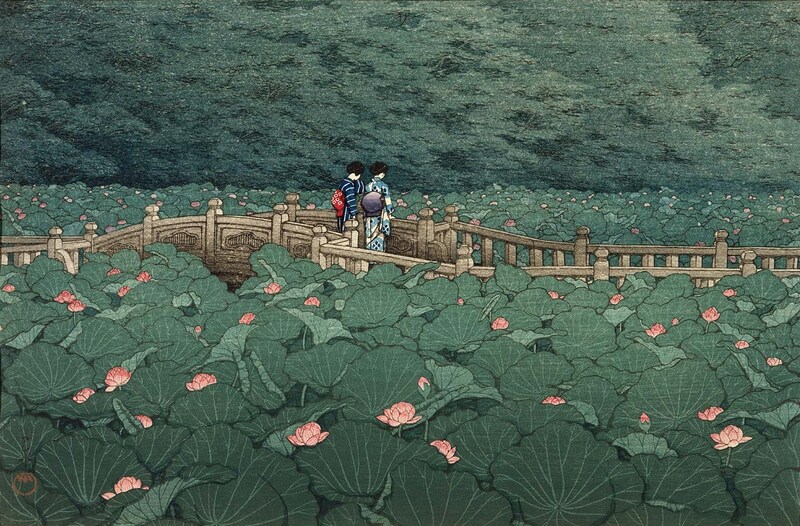 Hasui Kawase – Museum of Fine Arts (Boston) 50.2885. Title: The Pond at Benten Shrine in Shiba. Date: 1929. Materials: woodblock print. Dimensions: 27.3 x 39.8 cm. Nr. : 50.2885. Source: https://www.mfa.org/collections/object/the-pond-at-benten-shrine-in-shiba-shiba-benten-ike-254854. Ernst Fries – Neue Pinakothek WAF 279. Title: Wasserfälle des Liris bei Isola del Liri. Date: 1830. Materials: oil on canvas. Dimensions: 48,7 x 65,3 cm. Nr. : WAF 279. 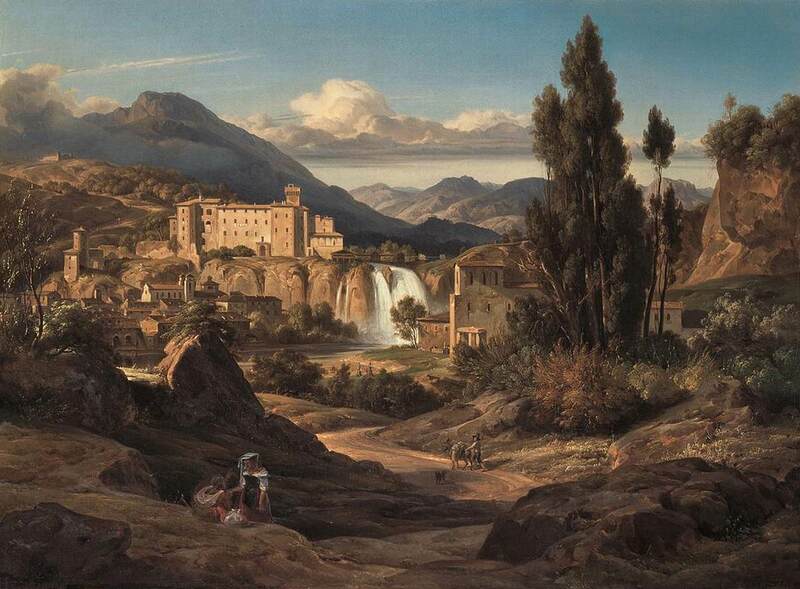 Source: https://commons.wikimedia.org/wiki/File:Ernst_Fries_-_The_Liris_Waterfalls_near_Isola_di_Sora_-_WGA8304.jpg.